The UK based Social TV App, Zeebox, has recently rebranded and relaunched their website, and iOS and Android apps under the new name of Beamly. Originally launched in 2011, Beamly wanted to change from being seen as a geeky TV guide app to a co-viewing experience that would allow users to follow and discuss their favorite TV shows and celebrities all day long. 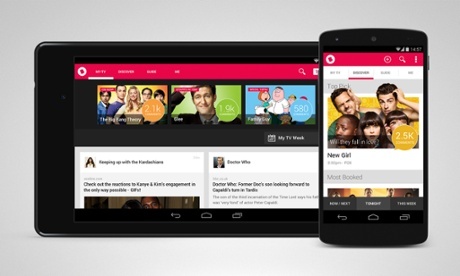 With the relaunch, Beamly is able to adapt to the vast changes that are occurring in TV viewing. Along with the changing trends of TV viewer habits, there is also the change in audience that Beamly has seen with their users. According to Rose, once users were allowed to follow shows, they were using the app twice as often, and once shows were allowed to follow them back, users were returning ten times as often. This feeling of a community attracted a lot of females and transformed Beamly’s users from a group of geeky men to a diverse audience, that is now mostly 16-24 year old females in the US. By being able to adapt so well to the constantly changing TV viewing habits, Beamly will be sure to increase their user base and shake that geeky image that they previously had. This entry was posted in Industry News and tagged Apps, Beamly, netflix, News, OnDemand, personalized TV, social, social media, social tv, SocialTV, television, tv, Zeebox by Ali. Bookmark the permalink.